When you're cuddled up in front of the television or with a book on your lap you'll want to reach for our Baby Bird Blanket from Byourbed! 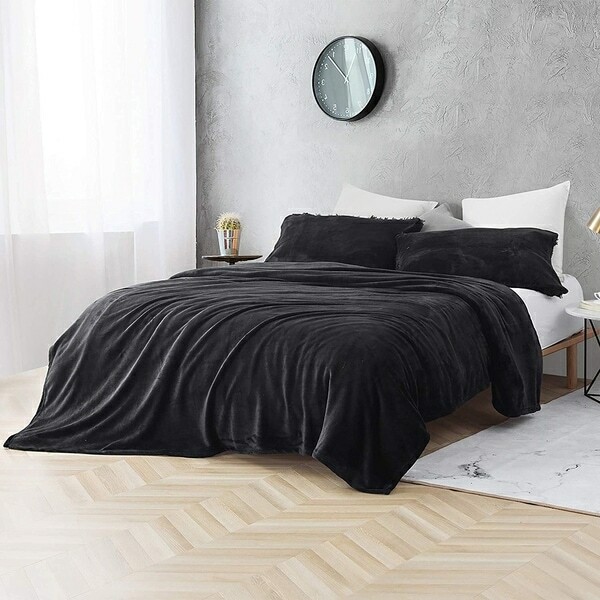 This supersoft plush blanket in a solid black will have you rethinking what "soft" means. Easily machine washable, you'll want one of these luxuriously comfortable blankets for every room in your home. Size: Full - 80" x 88"